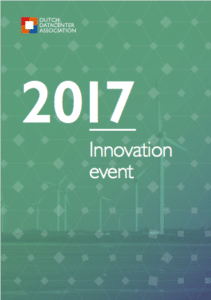 On Innovation Day 2017, DDA participants and partners came together to share their visions on innovation and sustainability within the data center sector. You can read all findings in our report, which you can download below. In addition, the document includes interviews of industry leaders Huawei, Minkels, Socomec and Stulz.